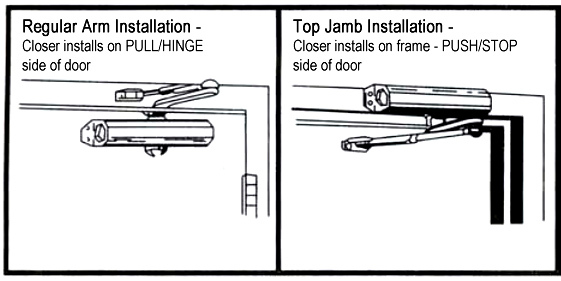 Bi-packed for regular and top jamb installation. 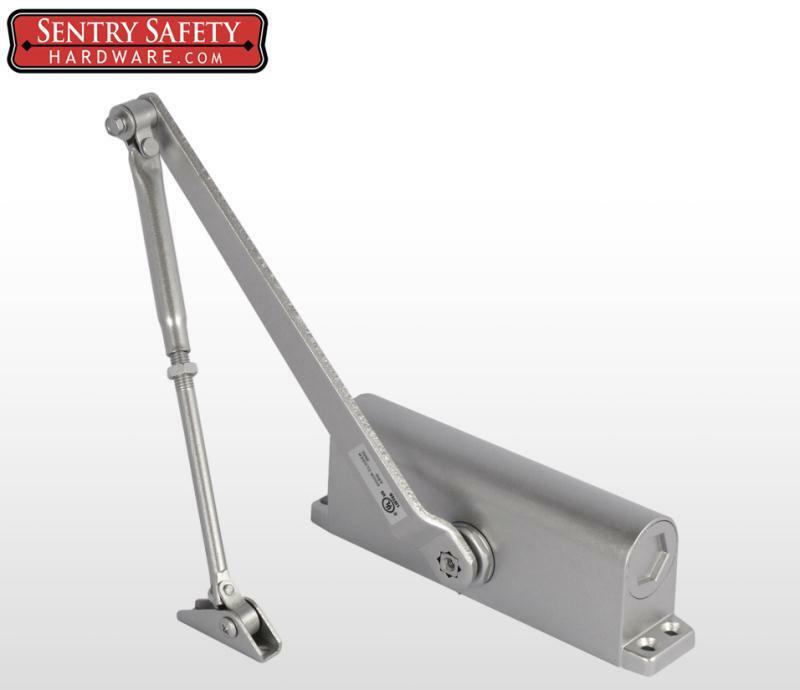 Unit can be used on a left handed or right handed door. It implies a universal application. Unit comes with proper brackets and installation hardware and can include two potential applications methods. The UL Listing Service is the most widely recognized safety certification programs. The 703 door closer is meant for interior “fire grade” doors. In the event of a fire, the door closer will not melt and fall off thus working to contain fire. Often fire rated, interior doors are found in hospitals and school.